Though LEDs exists from more than a half-century, it was not much preferred earlier and is now making way to Indian homes due to Narendra Modi Government’s increased awareness on the importance of using LED bulbs. Many companies are now ready to launch their LED products to serve their customers as the market of LED lights is blooming faster than imagined. Here, we give the Best LED bulbs in India which we believe are best in terms of energy consumption, lifespan, environment-friendly etc. Now you can replace your old CFL or tube lights with this single bulb as it is economical in nature. 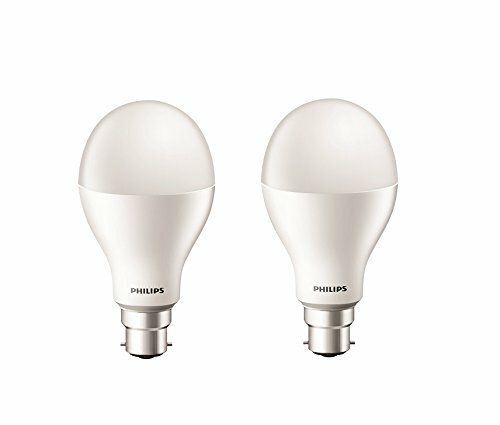 Philips is one among the top manufacturers of the bulb in India and also acts as a global market leader in the lighting Industry. Philips Base B22 9- Watt LED Bulb can be said a quality product. The company provides 2 years of warranty from the date of invoice and the lumens is greater than 900 with operating temperature of -10 deg to 50 deg centigrade. It’s a long lasting bulb which can last up to 5000 days and no toxic involved i.e, neither lead nor mercury exists. Overall it’s a low power consumption bulb with adjustable bulb features. 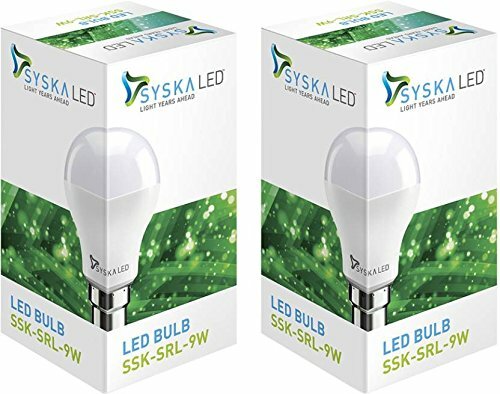 Syska SRL Base B22 9-Watt LED Bulb is Syska’s one of the best LED Bulbs available in India right now offering 900 lumens, long lasting, low power consumption and also economical. The product comes with a warranty of 2 years. One of the appreciable features of this product is that it comes with omni dimensional illumination. The color temperature of this bulb is 6500 Kelvin. 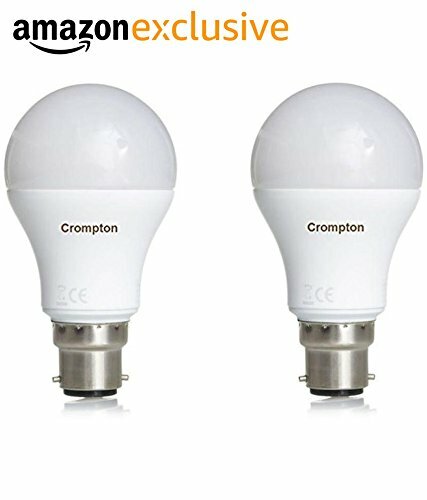 Crompton is one of the Best led bulb brand in India. It offers many electronic products. This is a cool daylight LED Bulb made with glass and the best quality materials which is totally glaring free and eye-friendly. There’s no existence of UV effect and zero mercury product which is ideal for indoor and general lighting with 1800lm and not to forget this product also provides us with long life with maximum efficiency. The house of Eveready offers you with a wide range of lamps and lighting products and also known to be the biggest battery manufacturers in India. 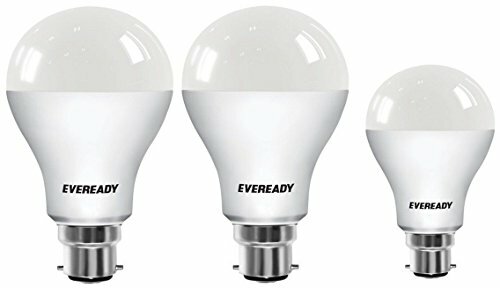 Eveready Base B22 7-Watt LED Bulb is the best bulb that you can completely trust as it comes with BIS certification. It is made up of plastic shade material with a luminous intensity of 700 candela and luminous flux of 700 lumens along with cool day white light. The company offers 2 years of warranty. 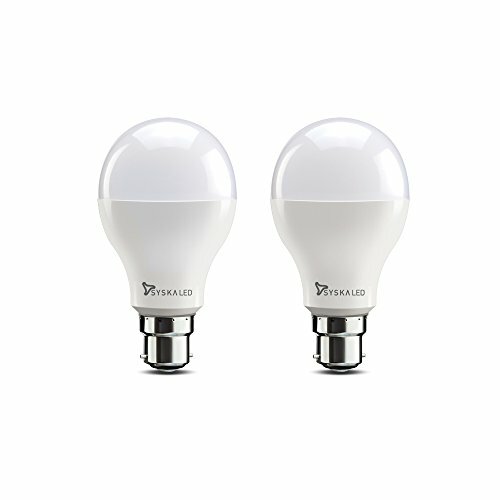 This is one of the Cheap and Best LED bulbs in India. Wipro does hold only a small portfolio of LED Bulbs but all of it reach India’s LED market competition. 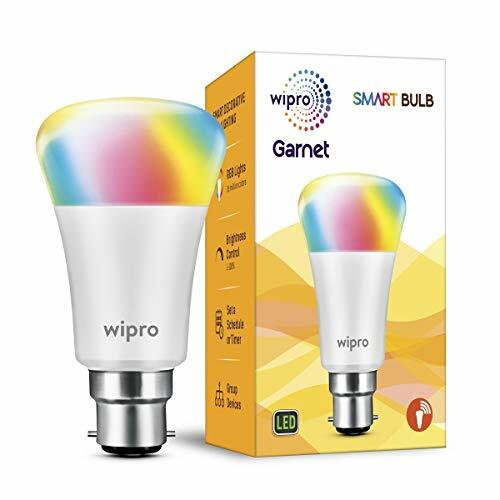 Wipro Garnet Smart Light bulb is a rectangle shaped bulb holding wattage of 7 watts. This product lights up the moment with its 16 shades of RGB light. The company offers a 1-year warranty on this bulb and it works well with wifi without a gateway or hub. Overall it’s a great way to start a smart home. Philips stellar bright 20- Watt bulb is low energy consumption and non- dimmable bulb which has a life of 15,000 hours. It is considered to be 40% compared to CFL energy saving and 85% energy saving compared to GLS. It is very bright with comforting physical ease. The material is of glass and cool daylight/ crystal white color. 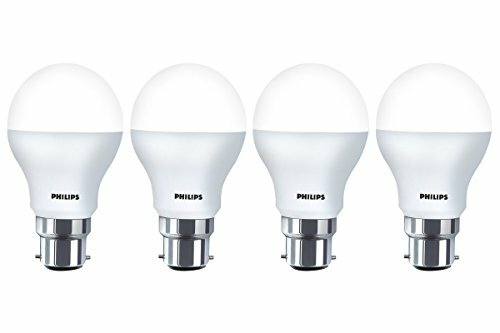 Philips is one of the best led bulb brand in India. The Garnet high wattage LED Bulb provides more brightness and good light distribution because of its well-designed optics. The material of the bulb is of aluminum and plastic. The special feature of this bulb is that 120-300VAC provides safety against the voltage fluctuations. LM 80 tested LED technology. It has no mercury which makes disposal easy and no UV and IR radiation. Syska SSK- SRL -18W LED Bulb is an omnidirectional illumination bulb with high efficiency with up to 90% energy saving. These bulbs are specially designed to handle fluctuation between 90-300 V. The firm offers 2 years of warranty on this Bulb. It is an eco- friendly product with no mercury. The average life of this bulb is of 50000 hours. Eveready is the only brand which has labeled 100 lumens/watts in its each and every LED bulbs. This bulb can save up to 50% of energy and can last as that of 3 CFLs with a warranty of 2 years from the date of invoice. BIS certification is what makes the product more safe to use. 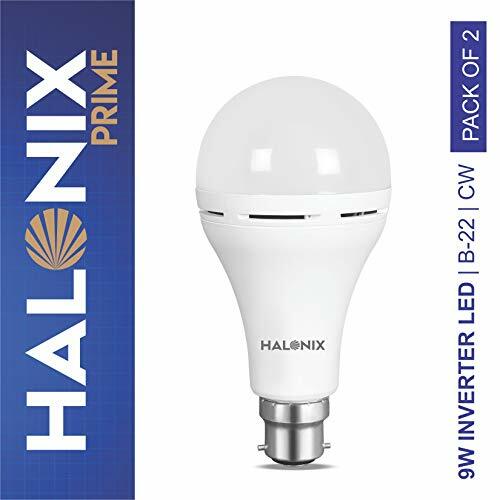 Halonix Inverter LED Bulb is a perfect emergency or rechargeable Bulb with 9 watts. This bulb is manufactured in a way that it automatically lights up when the main supply fails. Also, it includes auto- charge technology wherein charging time maybe 8-10 hours. Now you can enjoy continuous lighting experience without fearing the power cut up to 4 hours. We hope the details provided above will help you pick the best LED bulb for your house, office or other purpose which have power saving capabilities, long lifespan, product warranty, affordable, sturdy built and many more. Hey there, I’m sorry for asking an irrelevant question, you guys got any blogs on led bulb repair? Are these mentioned bulbs sorted in ascending order or descending order of Best LED bulbs in India? Like, 1 being the top or 10 being the top?